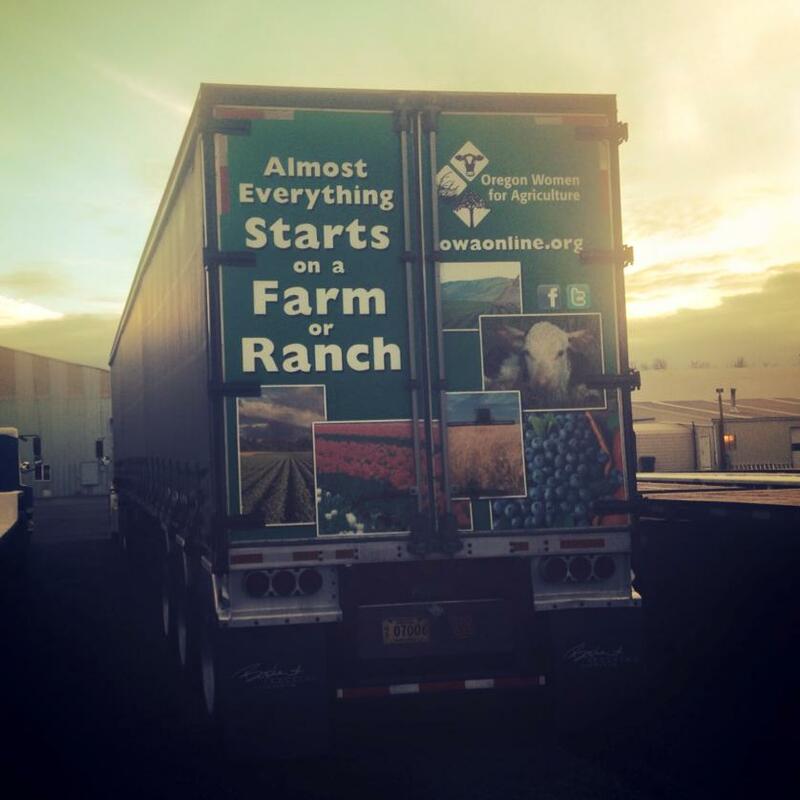 OWA has expanded their agricultural awareness projects to include vehicle based media! 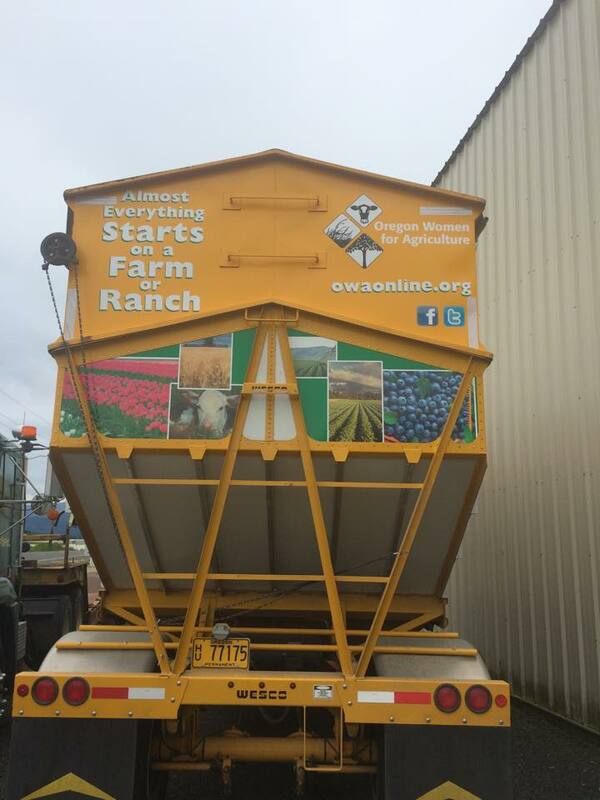 OWA’s signature billboard “Almost Everything Starts on a Farm or Ranch” is now available as a “truck wrap” available for semi tankers, van box trailers and grain trailers traveling major highways and interstates. According to public purpose statistics about 1 trillion people travel the American interstate annually and in America 72% of consumers know nothing about where their food comes from. 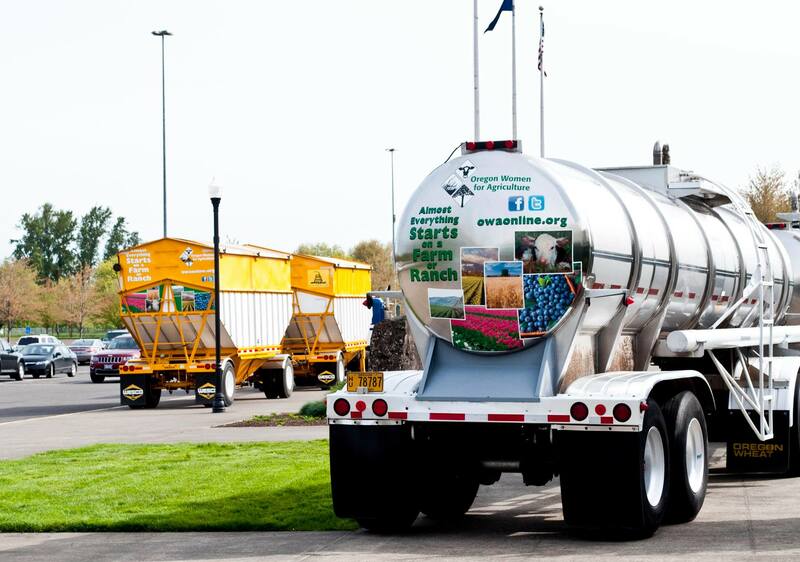 Members of the OWA truck wrap project are helping connect the transportation and agricultural industries with American consumers through a visual and mobile educational display. 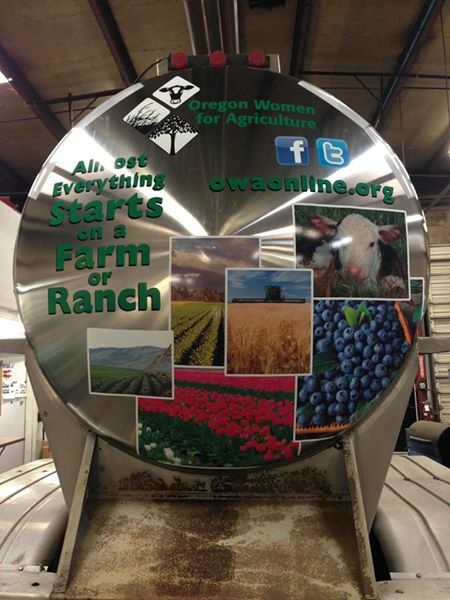 Each truck wrap includes the OWA logo, website, Facebook and Twitter icons. The social media ties allow consumers to use #StartsWithAg to connect on social media and in turn promote agricultural awareness. 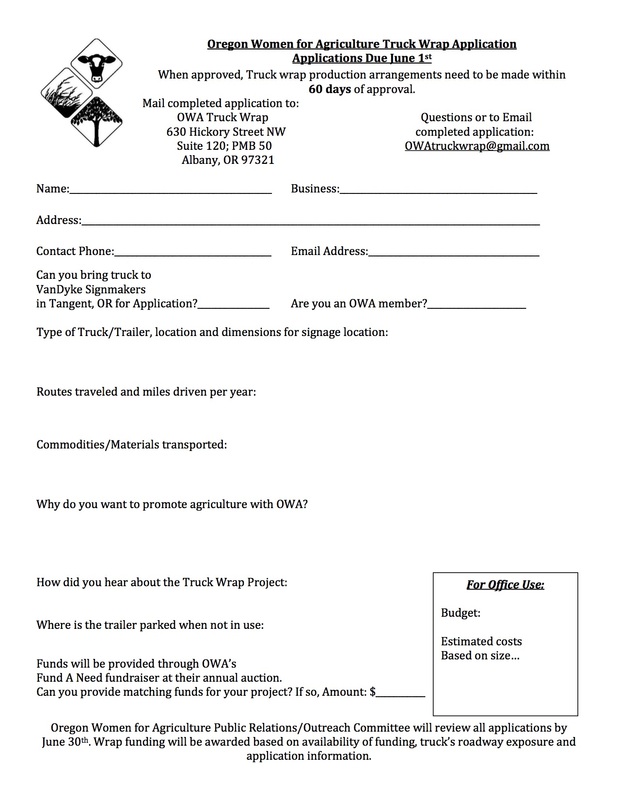 Complete an OWA Truck Wrap Application and submit to OWA. This will initiate the process of creating the wrap specific for your trailer’s dimensions and establishing a final cost for your wrap. OWA prefers wrap placement on the rear of the truck for convenience and to provide the most effective display. The price of each wrap varies depending on the trailer type, graphic dimensions and color. Cost per truck can range from $600-$1000. Limited funds are available each year from OWA for this project. Priority for funding is given to trucks driven along major metropolitan areas and trucks that are driven year round or through multiple seasons. Applications are due June 1st, 2016, and an OWA member will contact you to talk about actual cost before finalizing any arrangement. Where do I get my wrap? Wraps are applied by VanDyke Sign makers in Tangent, Oregon. Trailers must be taken to Tangent for application, and possibly for measuring. OWA hopes to have more locations for application available throughout Oregon in the future. Previous: Previous post: Ag Fest Is Coming!